Some big-game hunters from Mexico were fined after a polar bear hunting trip in Nunavut. 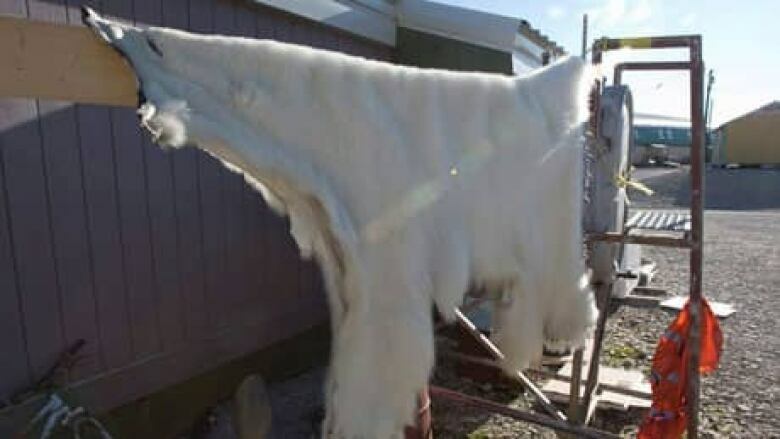 The four men from Monterey, Mexico, were caught trying to leave Canada a week ago with three polar bear hides. They hunted the bears legally, but they did not have export permits. The men also had three narwhal tusks they had apparently bought, also without permits. Hector Martinez Jr. is a wealthy property developer in Monterey. He was travelling with his two adult sons and his godson. The hunters were caught in Winnipeg when they stopped to refuel their private jet. Federal inspectors had been tipped off to search the aircraft. All of the men pleaded guilty to the charges on Friday, in a Winnipeg court. They forfeited the hides and tusks, and paid $80,000 in fines in cash.